Air conditioning gives us that refreshing blast of cold air on a hot day, but all the air conditioning components need to be in good working condition. Seals, hoses, o-rings and fittings can become worn and loose over time. This can result in refrigerant leaking, which can affect your comfort and the environment. Also, leaks can damage other parts such as the evaporator and compressor. Inspection and early detection can save you both time and money in the long run. Our auto care experts are here to assist with all your air conditioning needs. At Klahanie Service Center, our technicians are ASE-certified, as well as certified by EPA-recognized air conditioning programs. 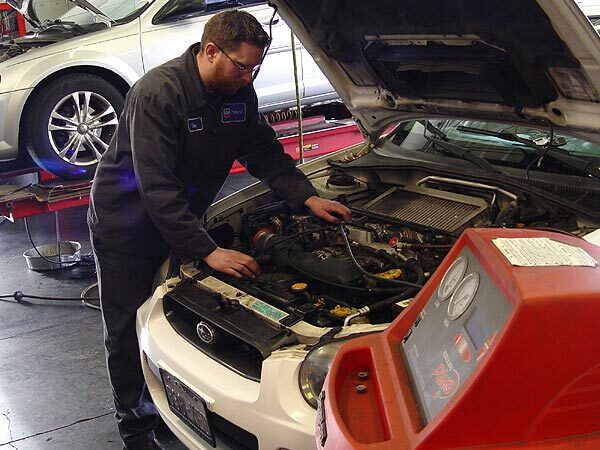 Our staff is available to inspect your vehicle’s air conditioning system components and get them in peak performance. If we do detect a leak, we will find the source of the leak and repair it. We will also verify that no other AC system components have been affected. HOW OFTEN SHOULD I HAVE MY A/C INSPECTED? If you are feeling refreshed and cooled with maximum air flow when your air conditioning is pumping, you are most likely not in need of inspection. However, if you feel your air conditioning is not cold enough or takes too long to cool down, you should probably stop in and see us for an A/C performance check. HOW OFTEN SHOULD I HAVE MY A/C RECHARGED? A well-maintained A/C system may never need to be recharged in its lifetime. However, if you notice that your air conditioning is not a reaching cool enough temperature, you should have it inspected. Many times, the vehicle is found to be low on Freon. Since the A/C is a sealed system, low Freon could be a sign that something else is wrong. This could be a small leak or a component in the A/C system that may be failing. 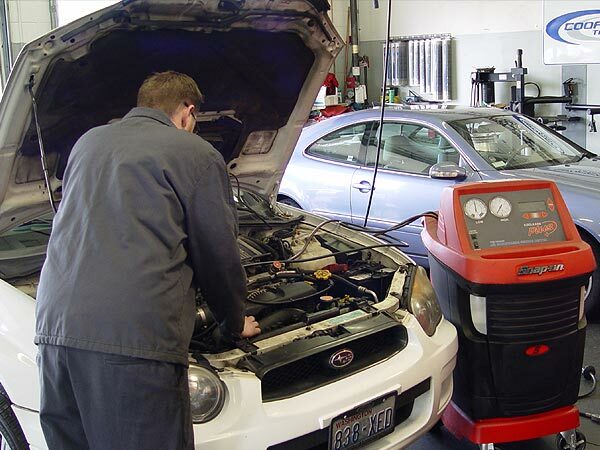 Bring it by Klahanie Service Center and our experts will do a thorough performance check and find the root of the problem, and will have your air conditioning running at peak performance again.